Some of these car records are gravity defying feats, others show incredible courage and creativity and then there are others that are just plain out there. Imagining owning one of these and try to sell your car in Abu Dhabi! 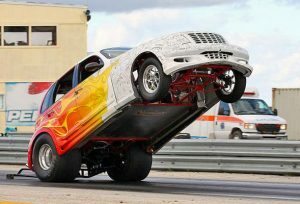 Check out CarSwitch.com’s 5 most outrageous car related records that we have compiled for you. 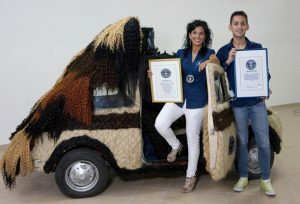 An Italian hair stylist named Maria Lucia Magno has bagged the title for the world’s hairiest car as her Fiat 500 is covered in 120 kg of human hair. Talk about taking your hairdressing to the next level! Magno spent around 150 hours sewing the hairs on the car’s interior and exterior. 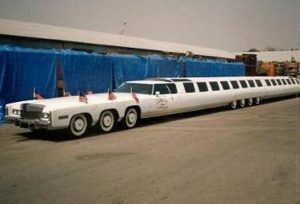 The world’s longest car is a 100 foot, 26 wheeled limousine designed by Jay Orhberg in California. The car features a swimming pool, a diving board and a king-sized water bed! Predictably, mobility is restricted given it’s colossal size. The car can travel in a rigid mode and can be be bent to accommodate road turns. Although, mostly, it was a show-piece for Hollywood camoes here and then. We’ve all had our news feed flooded with the most expensive Ferrari or Lamborghini but do you know what the world’s most inexpensive car looks like? Well, granted that it looks like a microcar and doesn’t weigh more than a big burly man, they were the earliest production cars and were quite unique. 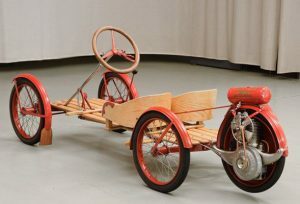 The Guinness book of world records cites the 1922 Redbug , built by Briggs Stratton co. as the most inexpensive production car listing them at $120. This next car will Steve Braithwaite started to construct his big banana car in 2009. The car is based on a 1993 Ford F-150 pick up truck. The car was finally finished in 2011. 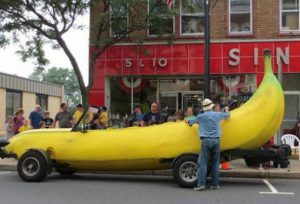 The Banana car is 22 ft. 10.5 in length and 10 ft 2 in in height. The truck chassis of the banana car is built using steel bars and polyurethane covered in fiberglass. The car can reach speeds of 85 mph with it’s 8 mpg engine and costs around $25,000. Want a used Ford in mint condition? 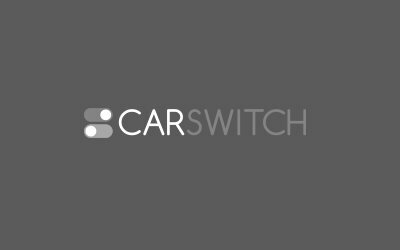 Check out CarSwitch.com’s collection of used Ford cars in Abu Dhabi. Mike Kuniz holds the world record for the longest wheelstand back in 2012. The stunt lasted for 2,504 ft. 7 in. His record, however, has been beaten by, Robert DeBlanc from Canada whose longest wheelie on a UTV was 4024 ft 8.084 in. Want to check out more car news, reviews and tips? 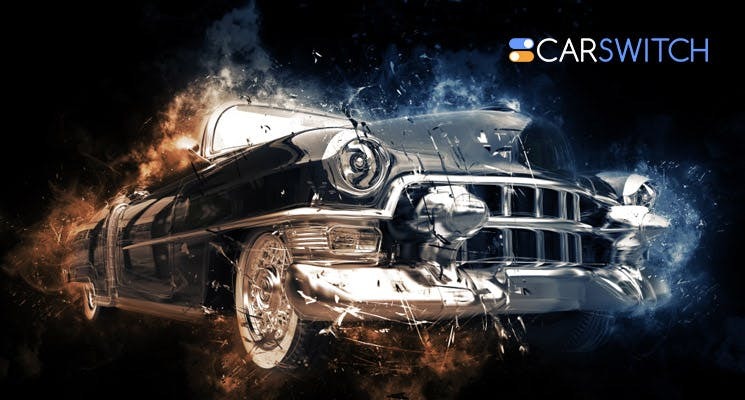 Hop on to CarSwitch.com for more. You can also sell your car in Abu Dhabi for a hassle-free buying and selling experience!